Consumer credit defaults as well as mortgage defaults are up from reported rates in May according to data from June by S&P Dow Jones Indices and Experian for the S&P/Experian Consumer Credit Default Indices, a comprehensive measure of changes in consumer credit defaults. Consumer credit defaults rose one basis point to a composite rate of 0.82 percent in June from the month prior. 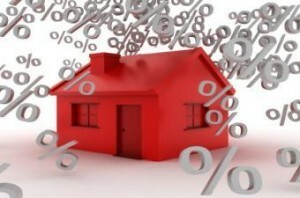 The first mortgage default rate reported was 0.65 percent with an increase of two basis points from the previous month. Additionally, three of the five major cities saw their overall default rates increase during the month of June. For Dallas, a default rate of 0.74 percent was reported showing a rise of five basis points from May. Likewise, Miami’s default rate shot up for the fourth consecutive month with four basis points putting it at a default rate of 1.31 percent. In Chicago, the default rate increased three basis points from the prior month, sitting at a default rate of 1.01 percent. In contrast, New York reported a default rate six basis points lower than the month prior, 0.83 percent. Los Angeles showed a default rate of 0.67 percent, leaving it unchanged from the month before.